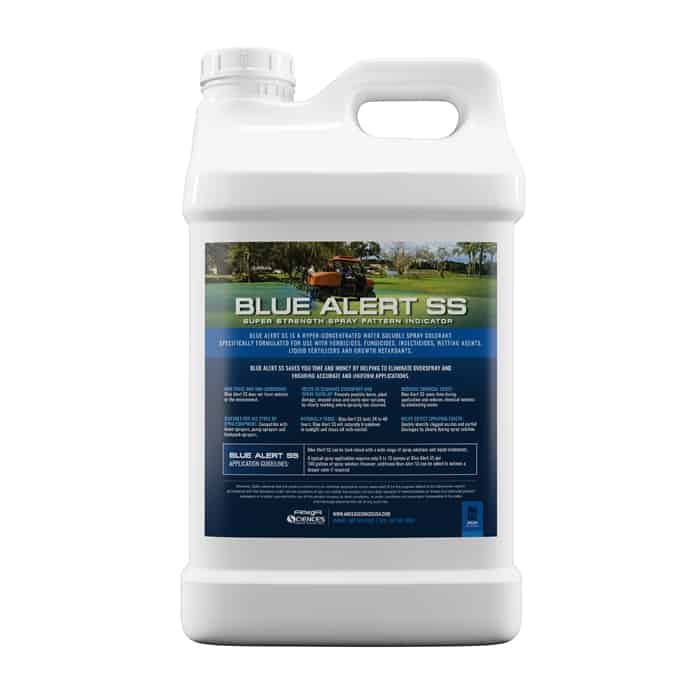 Blue Alert SS is a hyper-concentrated water soluble spray colorant specifically formulated for use with herbicides, fungicides, insecticides, wetting agents, liquid fertilizers and growth retardants. Blue Alert SS saves you time and money by helping to eliminate overspray and ensuring accurate and uniform applications. 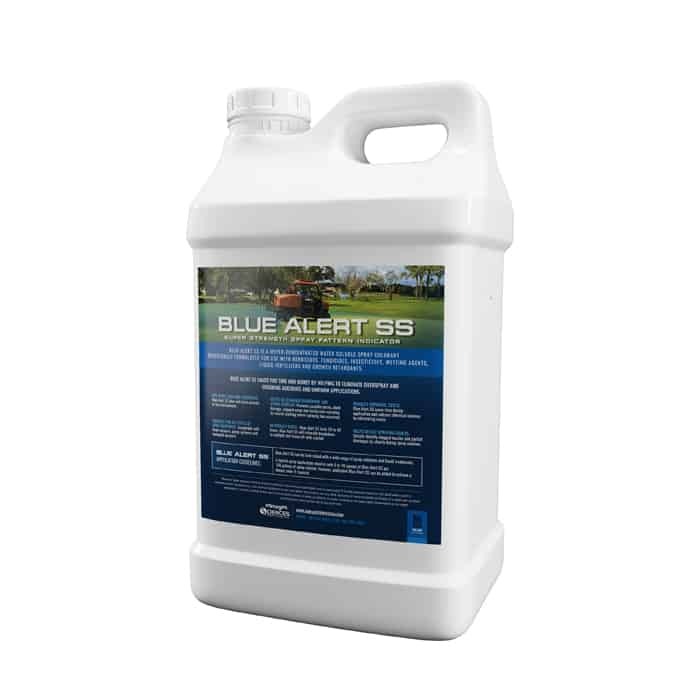 Blue Alert SS can be tank mixed with a wide range of spray solutions and liquid treatments. A typical spray application requires only 6 to 10 ounces of Blue Alert SS per 100 gallons of spray solution. However, additional Blue Alert SS can be added to achieve a deeper color if required.